When we are healthy and feeling good, we take it for granted a lot of the time. Being sick or in pain reminds us that life could be a lot worse in a different situation, and we should appreciate that. Blind people live without the gift of sight, something that every single one of us relies on for basically everything during the day to day life. Without it, the blind are forced to find other ways to cope. Their ability to adjust to the situation and figure out how to live productive lives without sight is nothing short of astonishing. In recent years, developments in ocular surgery have led to more blind people being able to see than ever. They are able to correct issues that they never were before, all thanks to the miracles of modern medicine. 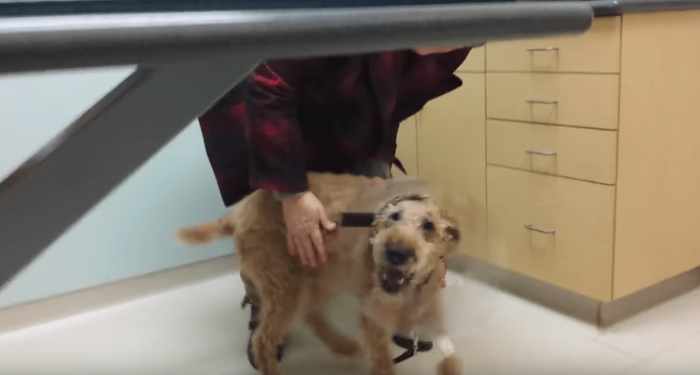 One Irish Terrier also got to get in on the eye healing action after living blind for years and years. Nothing will ever be the same for Duffy, the adorable pup featured in the video below. Duffy has struggled with a lot of health issues throughout his life. He has diabetes and this has led to a host of complications that most dogs never have to face. It even caused him to become blind in the last few years which has greatly affected his quality of life. One day, Duffy could see his family clearly and he knew exactly what they looked like. The next, he was blind and unable to see the people he loved at all. Losing your sight is a horrible incident, even if you are a dog. 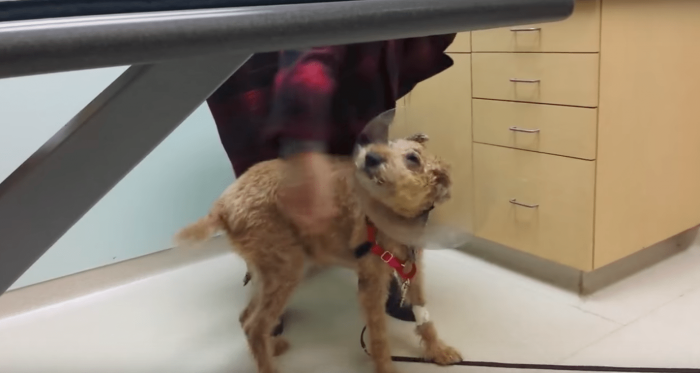 Duffy’s family brought him to different vets seeking a solution to his ocular issues. One after another told them it was a hopeless cause until they found the perfect doctor who knew that Duffy wasn’t hopeless after all! He set them up with a surgery that would fix all of Duffy’s vision problems. It was expensive but the family wasted no time in setting up the appointment for their beloved pup. For a member of your family, no expense is too great! Duffy went into the Veterinary Referral Center in Mayers, Pennsylvania for surgery just recently and everything worked out very well. They were able to fix Duffy’s vision issues and set him up with a eye care routine that will preserve his sight for years to come. For the rest of Duffy’s life, he’ll be able to see thanks to these amazing vets in Pennsylvania. 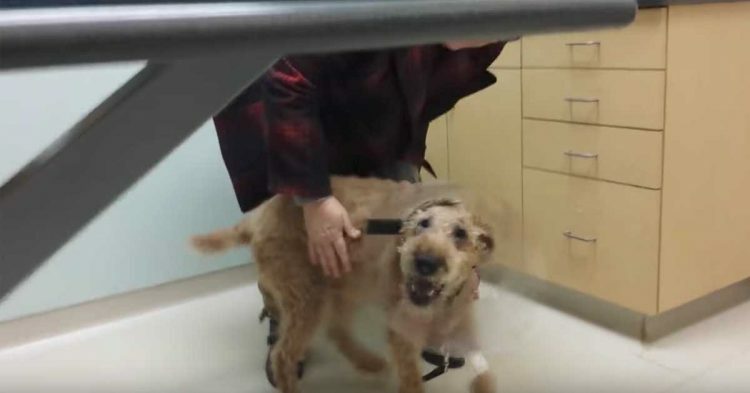 The family managed to capture a happy Duffy coming out of surgery, with his tail wagging harder than ever! He couldn’t be more excited to actually see his family once more after so long. It must have been like a huge fog was lifted from his life. The little pup started making high-pitched noises, squealing in happiness thanks to his loving family. What do you think of this adorable puppy? Share in the comments!